Preparing for Winter Storms: #giveaspit! 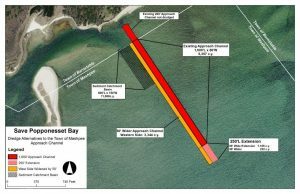 We want to thank our donors for helping Save Popponesset Bay (SPB) make significant progress towards protecting the Spit and maintaining the channels in and around the Bay. Faced with the crisis of the Spit judged “in critical condition” after devastating storms last winter, SPB’s financial supporters stepped up to restore the western half of the Spit, and we have begun to secure multi-year pledges towards our long term vision. However, Woods Hole Group warned that the eastern half of the Spit is still vulnerable to breach and remains in critical condition. We need to complete work now while the beach is wide enough for trucks. We need your financial support now to Save the Spit! This summer we invited you to be a part of our Save the Spit campaign with a goal of raising $2 million over the next three years. Through the generosity of three families this summer, and a record number of individual donations, we were grateful to receive our first leadership contributions and multi-year pledges totaling $600,000. SPB is an all-volunteer 501c3 and all funds go directly to preserving and improving the area we all love, our “happy place” as one contributor called it. We know that buttressing our investment now will be much less costly than repairs. Please donate today! Our volunteer board successfully managed multiple projects to improve navigation while protecting our barrier beach and wildlife habitat. We excavated more sand than ever before from the Channel. We created a new dune, plant beach grass and install symbolic fencing to support what was left of the Spit. We have been able to use a combination of trucked sand and sand excavated from channels around Popponesset Bay to reinforce portions of the Spit in the short term, and build towards our longer term sustainability of the Spit. These are benefits we can all enjoy with our families next summer, while protecting our Bay, wildlife habitats and water quality! 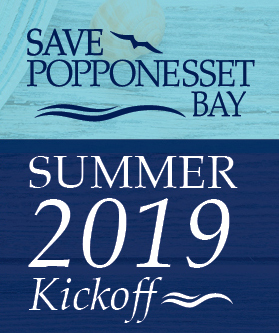 Please won’t you join our community today by making a contribution to Save Popponesset Bay? The reality is that if a core group of SPB supporters does not step up to finance this project it will not get done, and our boating, our homes, our property values, our environment and wildlife will be threatened. 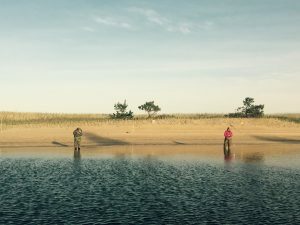 From storm protection, to water quality, to recreational benefits, your tax-deductible donation goes directly to trucked sand, dredging, and overall enhancement of the Bay and Spit. Please contribute now by hitting donate or send a check to SPB, Box 920757, Needham, MA 02492. SPB also gratefully accepts corporate matching funds! We are pleased with our progress to date and excited about the future! We hope you will make a meaningful pledge now to protect our investment. Thank you for your continuing support!